A very flavorful aged applejack that is very smooth and not a lot of money for the quality you get. Notes: Applejack was with the original American spirits, along with rum and wheat whiskey. One of the earliest forms of applejack was made by what is known freeze distillation – fermenting apple cider was left outdoors and allowed freeze. The water froze and left the part of the apple cider with higher concentrations of alcohol unfrozen. It was then very easy to tap off the resulting applejack. Unfortunately however this method is somewhat dangerous as there are a number poisonous byproducts including methyl alcohol which do not freeze and so are included in this product. 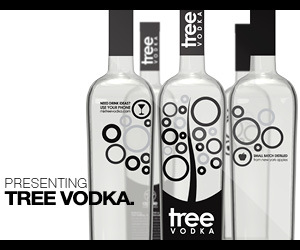 So while this method will give you an alcoholic product that is quite potent, part of that potency is from the methyl alcohol which causes rapid intoxication but also blindness and multiple organ failure so this is not something that anyone should try. This applejack on the other hand is made through pot still distillation it is not only safe but delicious, and not to be confused with the above product or its method of production we only mentioned freeze distillation is it seems to be an unfortunate trend that is catching on among younger people are unaware of the danger. 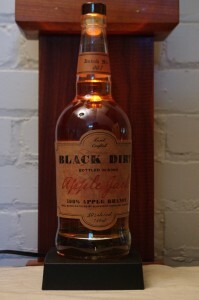 Black Dirt Applejack Batch 3 # is made from locally grown Jonagold apples for 5 to 6 years in new oak barrels. Unlike one of the more popular brands of applejack selling this country, it is made from 100% apple and apple brandy. Taste: Deep apple notes with caramelized apple sugars a spice melange balanced but the vanilla, drying wood char from extended aging, and a creamy texture. Drinks: Jack Rose of course, a Normandy Cooler or variations on Manhattans and Sidecars all worked wonderfully with the depth of flavor that this Apple Jack provides, with the aging that gave the depth and wood characteristics of a brandy and the spiciness and sprightliness of a well distilled applejack to pack in a lot of bright flavors it is a great swap in ingredient for a whiskey, Armagnac or Calvados for a younger more American twist on the classics. Bottle: Beautiful grade of high luster clear glass in a brandy or single malt scotch modified bell shape bottle with a heavy,thick decanter bottom(giving it a luxury look and feel) slightly bulbous neck that has a solid and nice feel to the hand leading to a lipped neck and a composite cork with a nicely finished wooden topper.Front label is executed with a slightly rustic feel on a brown/parchment colored label with a barbell center on an otherwise rectangular layout and a neck collar denoting the batch number of the bottle. Overall a vert attractive package that catches the eye and has a lot of shelf appeal. 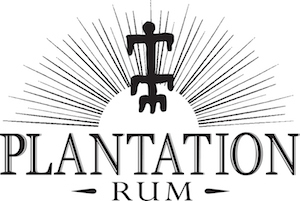 Other: Black Dirt Distillery has a sister distillery, the Warwick Valley Wine and Distillery Company this distillery produces a number of other excellent products. Their Sour Cherry Cordial, Black Currant Cordial, Pear Brandy, and an unaged Apple Brandy are the products we have reviewed and Black Dirt also makes a gin and a bourbon that we have not tried yet. Final Thoughts: Beats other American aged apple jacks and brandies in the ir age category ( read 4 years and above) hands down for quality and price. A very nicely down, simple yet informative website with a good amount of detail on products,still, distillers and where it all comes from. A refreshingly detailed but simple and easily accessible website. Well Done !